Handmade soaps is a gift for those people who are hard to shop all year long. Feel loved every months with this gift for your family or friends ..
1. Hand Crafted Beer Soap Guinness Extra Stout and Oatmeal , for the beer enthusiast who love Guinness or any other beer. BUY HERE The Mother and Baby Twelve Piece Soap Gift Set allows you to give the gift of natural skin care to mothers and their precious little ones. Packaged in a beautiful gift box, the set contains ( 6 regular bars of soap – 7 to 8 oz. ), (1 extra-large) artisan limited edition bar for the shower, ( 2 rose soaps) for the powder room and ( 3 bars) for Baby’s bath time. 3. 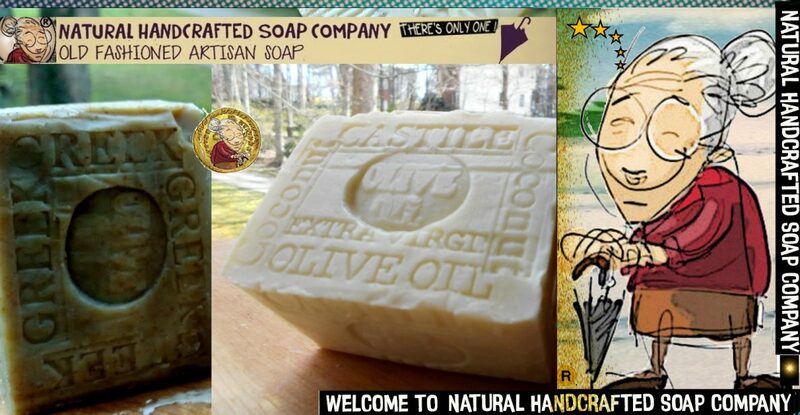 Olive oil soap from Natural Handcrafted Soap is for anyone who wants to try new things to the expert who’s always looking for awesome products. BUY HERE This is a very nice everyday mild soap with out any fragrance oils just lots of wonderful lather. 4. Goat’s milk Soap for the shower-enthusiast who tries to keep it healthy and clean at same time! 5. This limited Aged Artisan Bar of Lavender and Dead Sea Mud is for the person whose agenda is an actual work of art. Limited Edition Soap Only 1 in Stock Large bar , This is a wonderful aged soap that can be used not only in the shower or bath, But makes a wonderful decorative soap, custom hand stamped. Cleanse and remove any dirt particles, impurities and toxins from your skin. 6. Grab This Coffee soap bar all natural for the person who likes to work out or work at kitchen – Coffee scrub help to take the smells off body or hands. there is no time for morning coffee. 7. for the fragrance-free who like to change up their usual soaps. 8. Aged Limited Handcrafted Soap – for the person who has only gotten better with age. 9. Body Scrub – Israel Dead Sea mud and Pink Himalaya Sea Salt , for the person who deserves an at-home spa day. Posted on November 22, 2017 November 22, 2017 by Natural Handcrafted Handmade SoapPosted in natural handcrafted soapTagged beer soap, gift, gifts for the holidays, google, Handmade Soap, natural soap. Finding the perfect holiday gift can be difficult — is this the color they’d want, Is it something they already have or else ? — but once you have a sense of a person’s taste, it’s not impossible. This season, give natural handcrafted soap is a gift for the all family and everyone friends , girls , guys and also for a chef. Coffee Soap Espresso and Luxury Scrub. I was stupid to not put this soap on my wedding favors , so I’m deciding to put this on my holiday list. Everything from this natural handcrafted soap co. is luxury and handcrafted rustic looking . Our guess room and bathroom is white and natural wood, and Greek Olive oil soap would bring a great natural element to the design . .” — Brett R., Austin, Texas . “Right now, I’m really into Body scrub Dead sea mud with Himalaya Salt .I like the Mix between , which is balance through the highest and lowest points on Earth . Brandon, from San Francisco, California. “For the holidays, I would like an gift of 4 natural soaps because after a long day , my favorite thing is hanging out in comfy slippers and having a long shower with organic and natural soaps .” — Edward from Washington, D.C. Results 1 – 24 of 96 – Online shopping from a great selection at Natural Handcrafted Soap CompanyStore. Posted on November 8, 2017 December 13, 2017 by Natural Handcrafted Handmade SoapPosted in natural handcrafted soapTagged Beauty, gift, google, holidays, natural soaps.